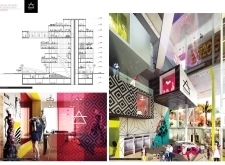 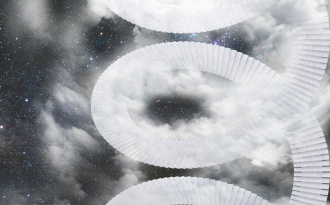 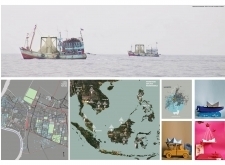 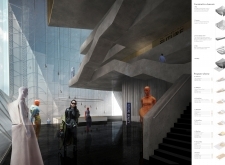 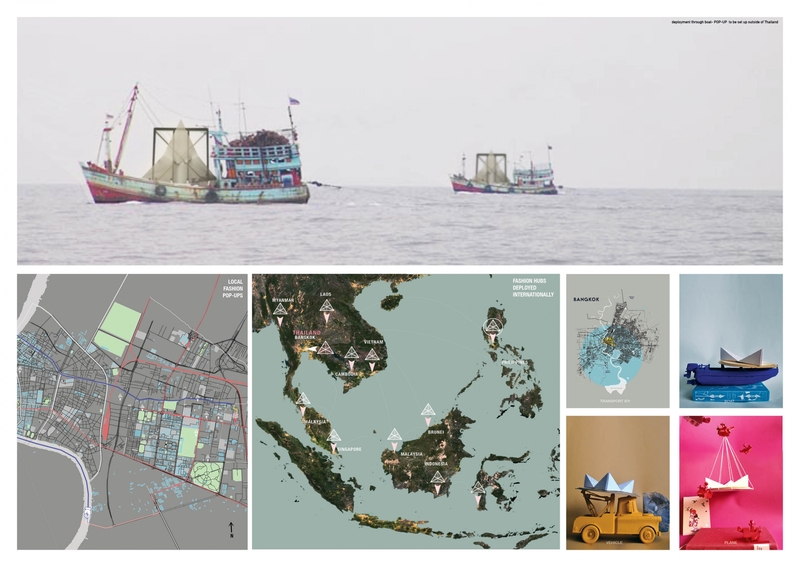 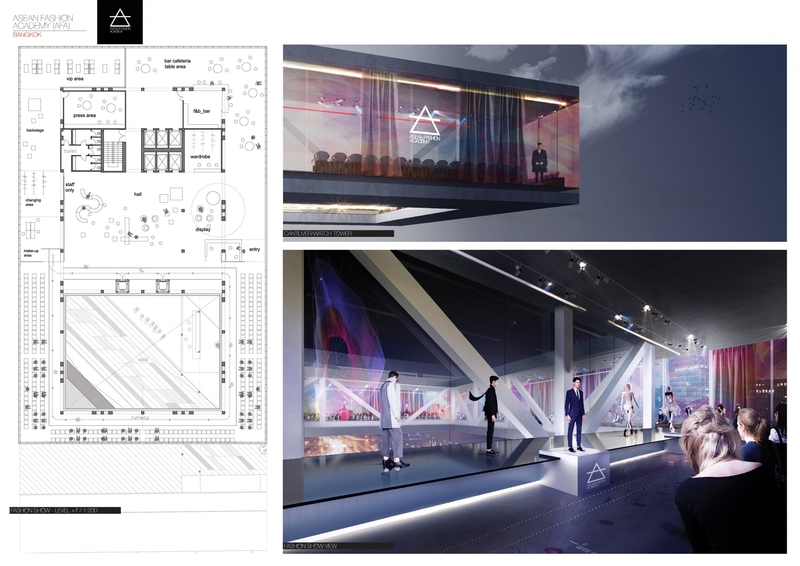 Each entry was evaluated on a number of criteria, including but not limited to: strength and clarity of concept, originality, quality of presentation, response to urban context, and most importantly, its viability as a cultural fashion hub. 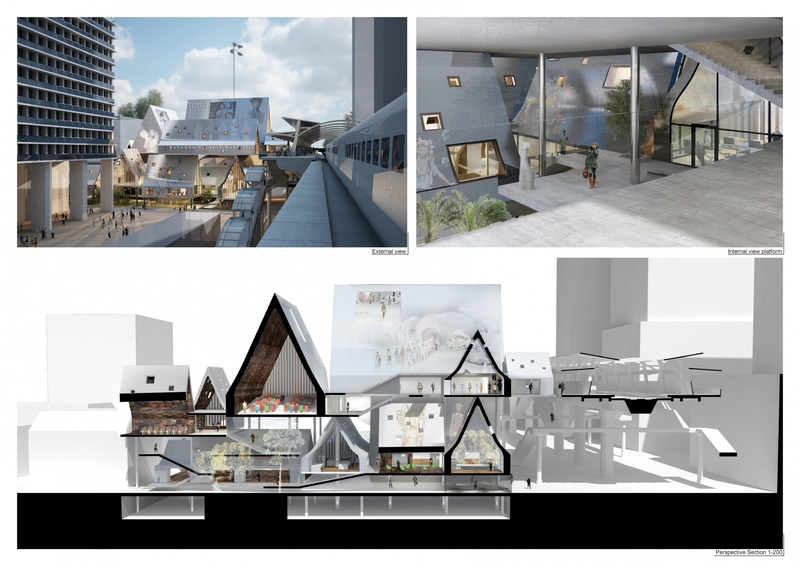 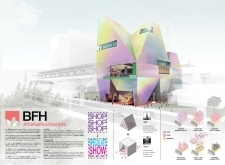 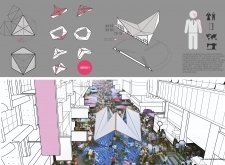 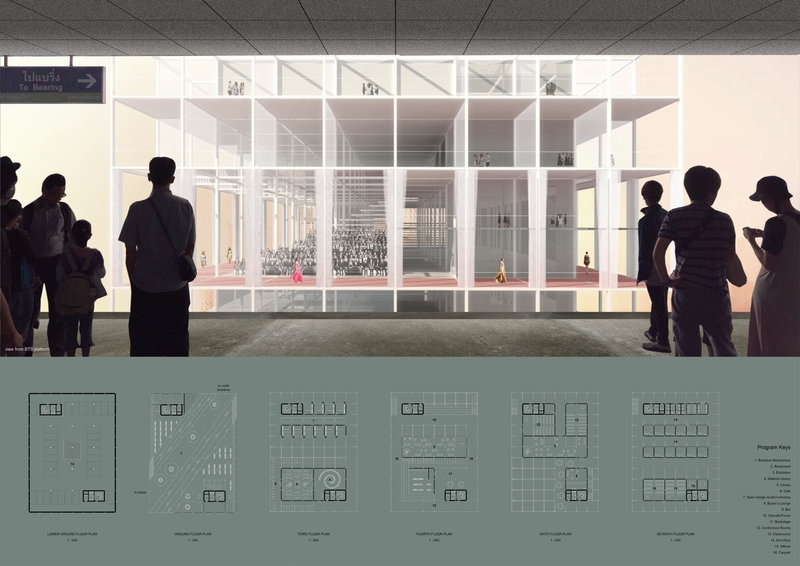 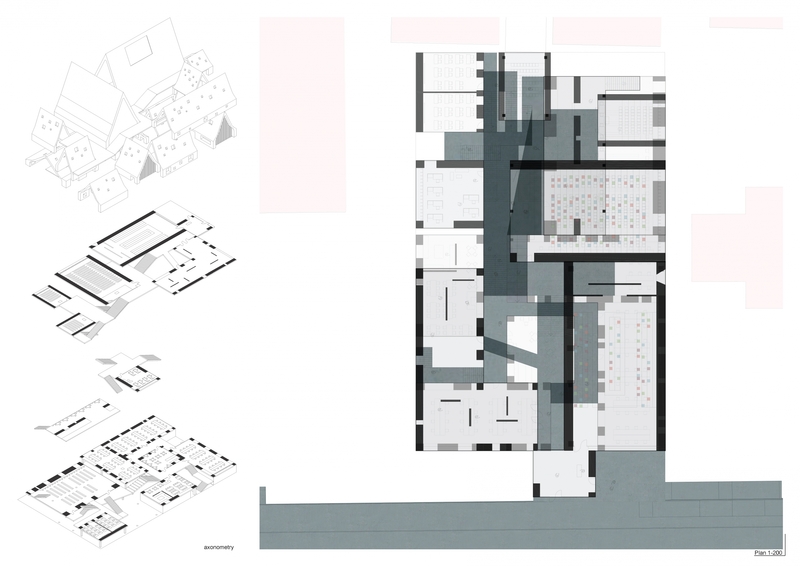 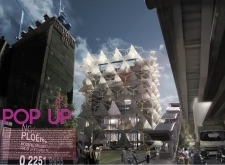 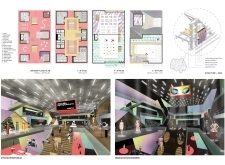 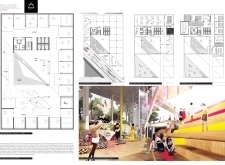 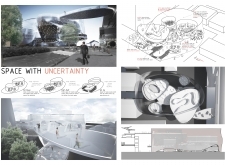 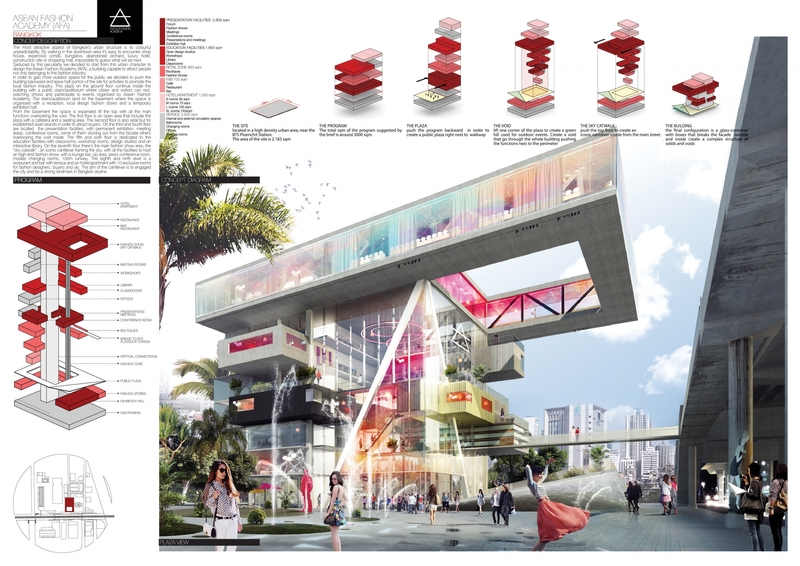 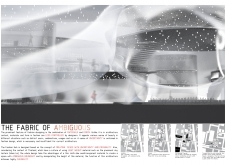 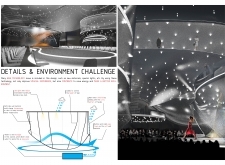 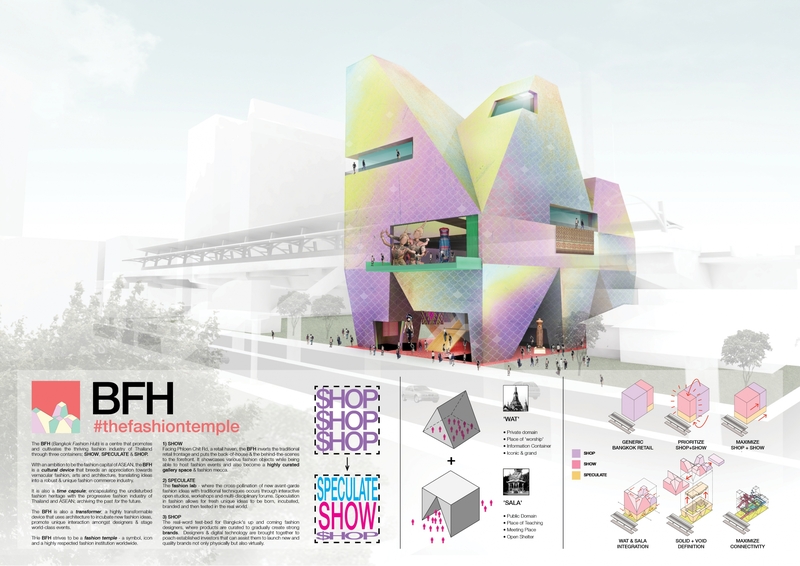 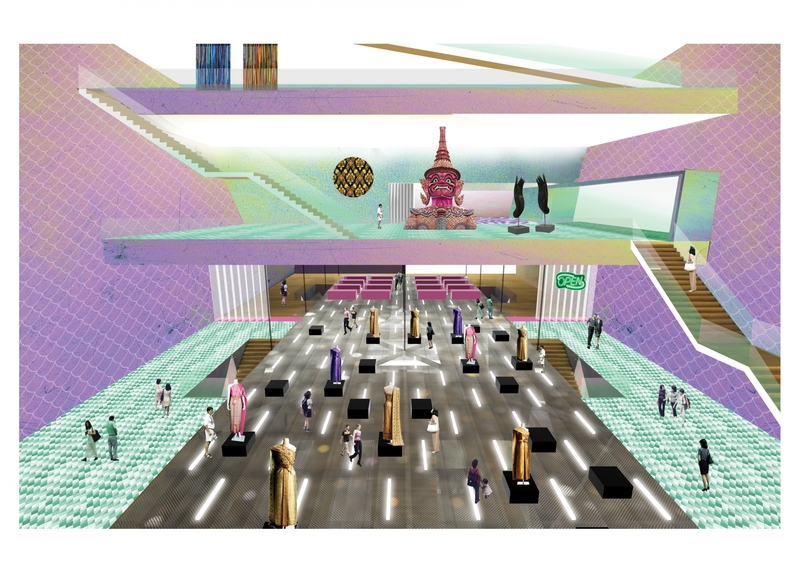 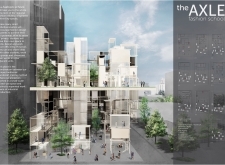 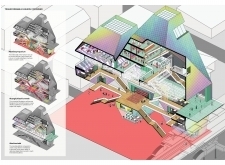 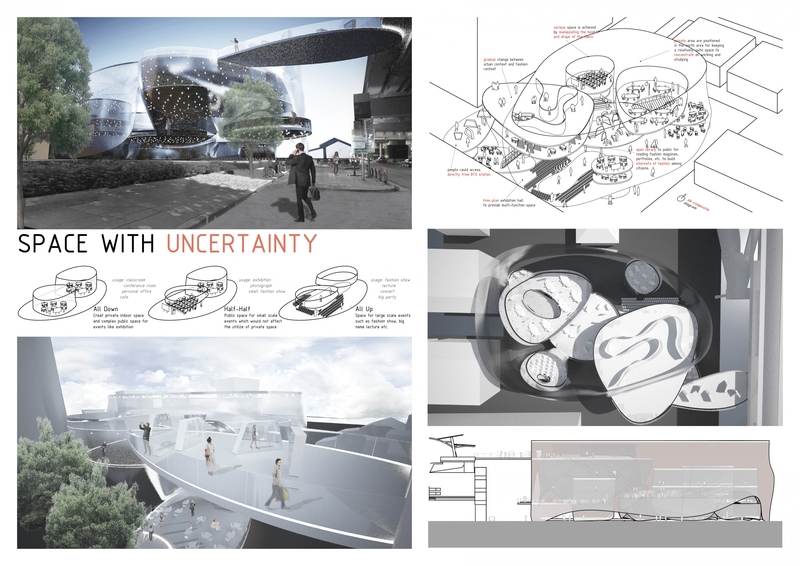 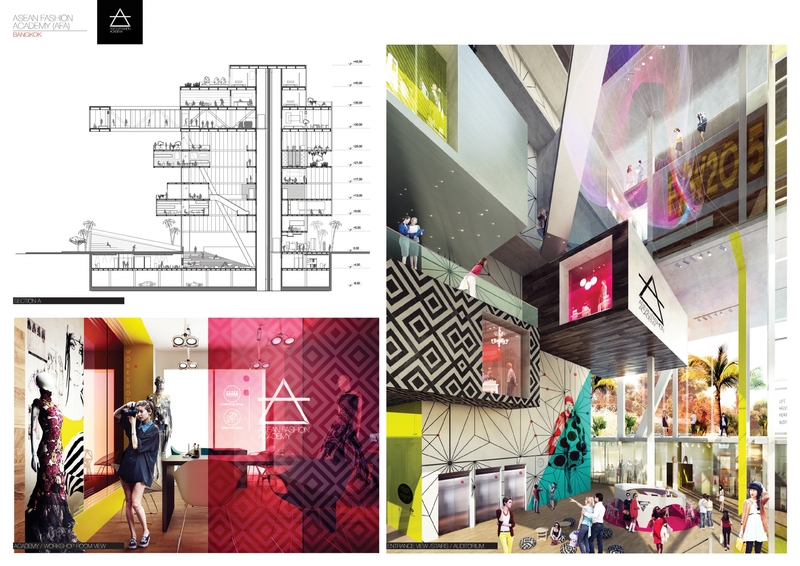 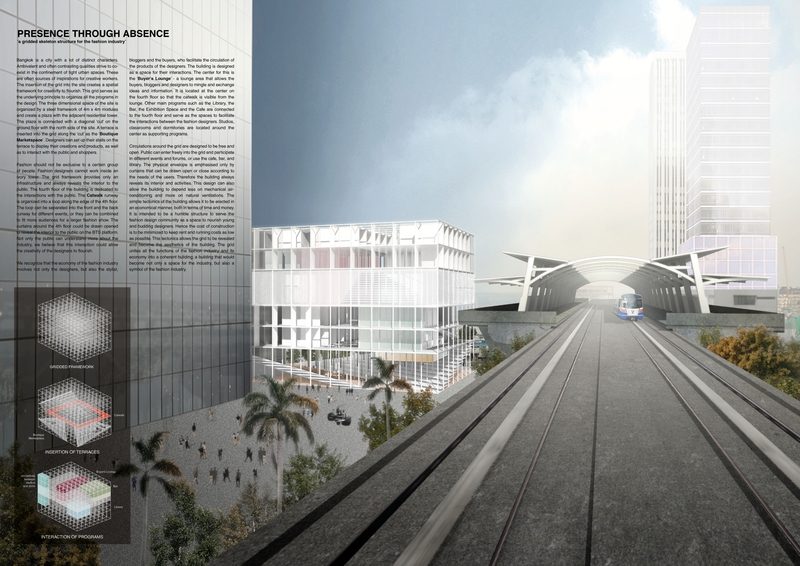 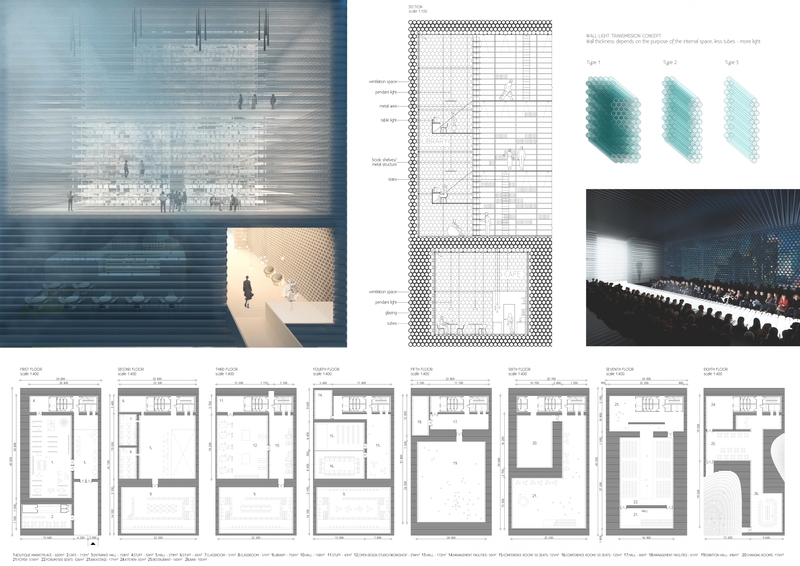 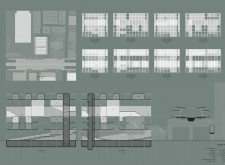 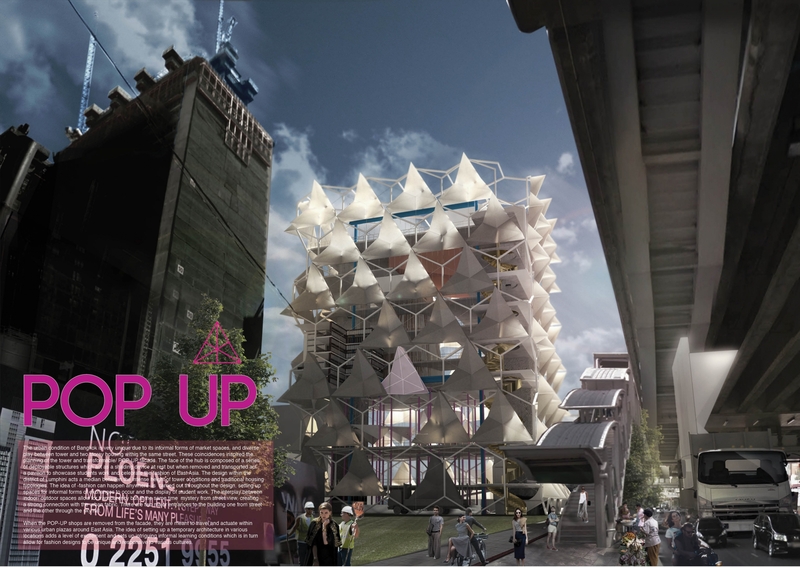 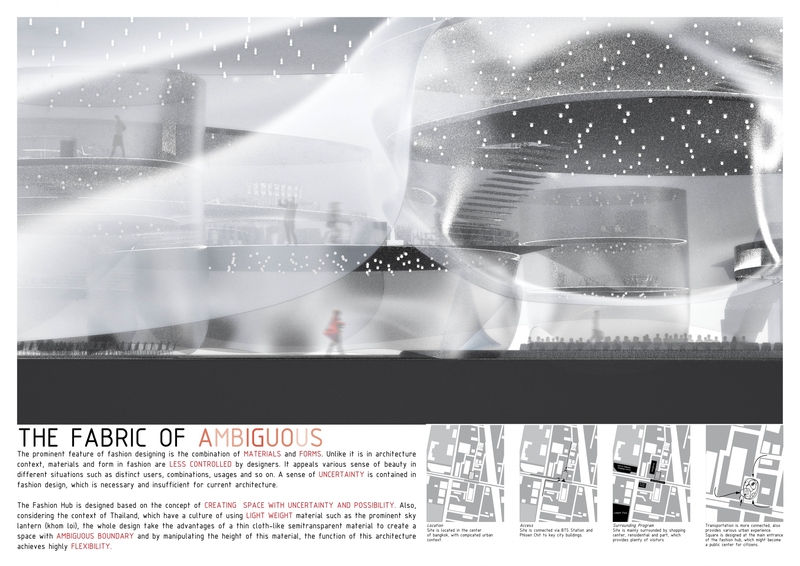 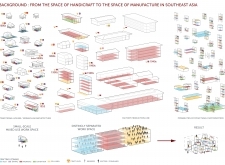 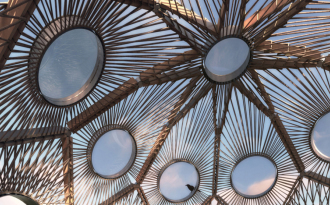 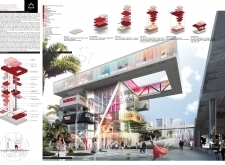 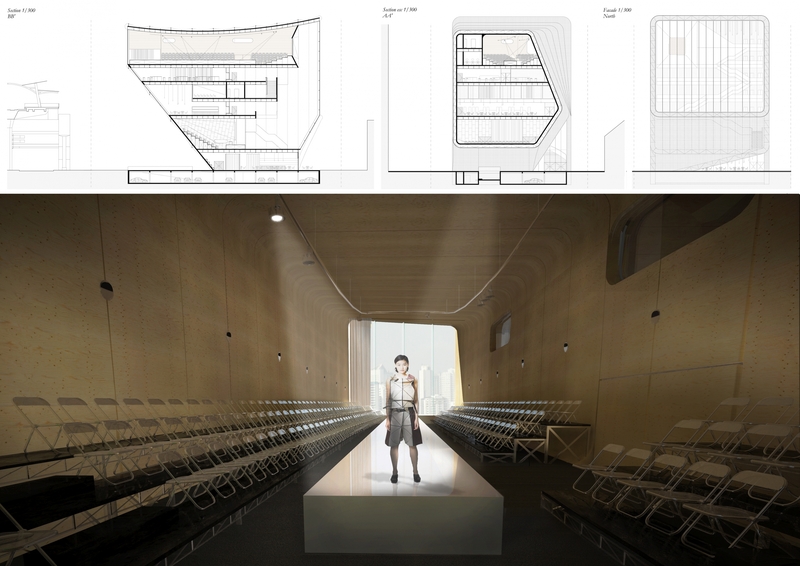 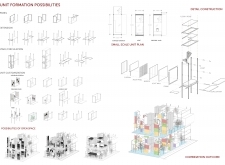 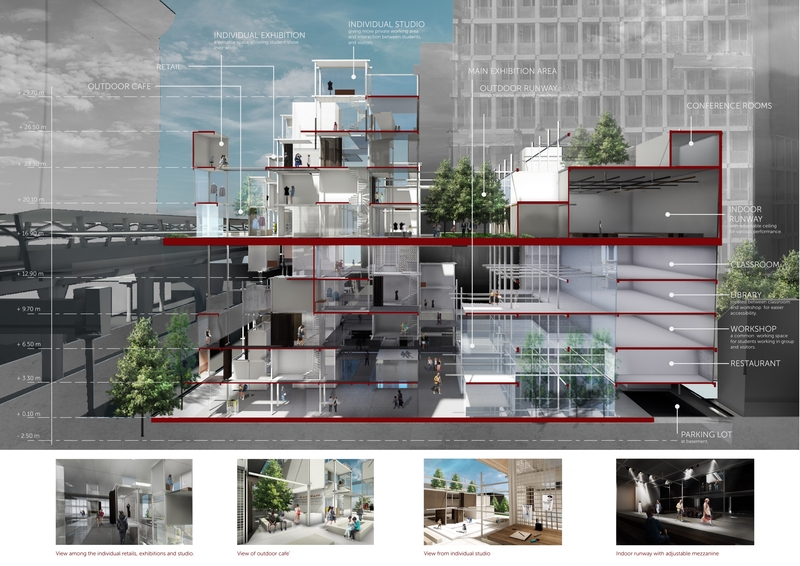 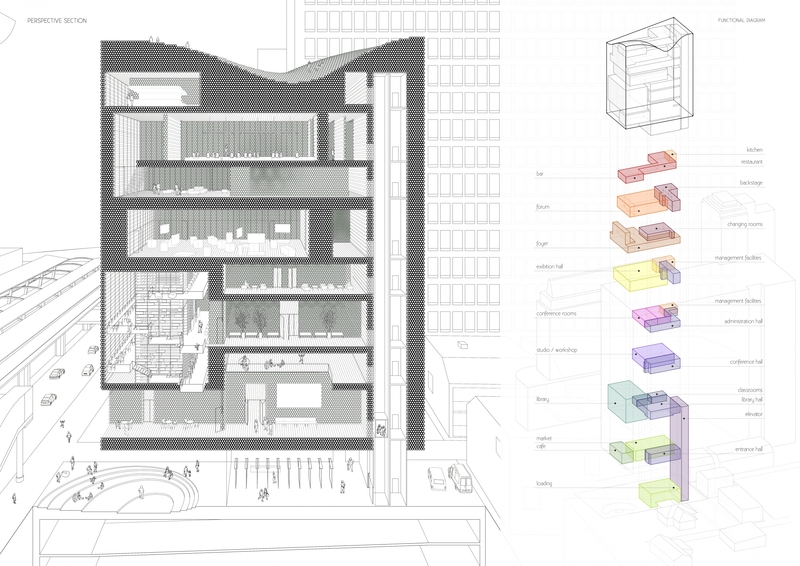 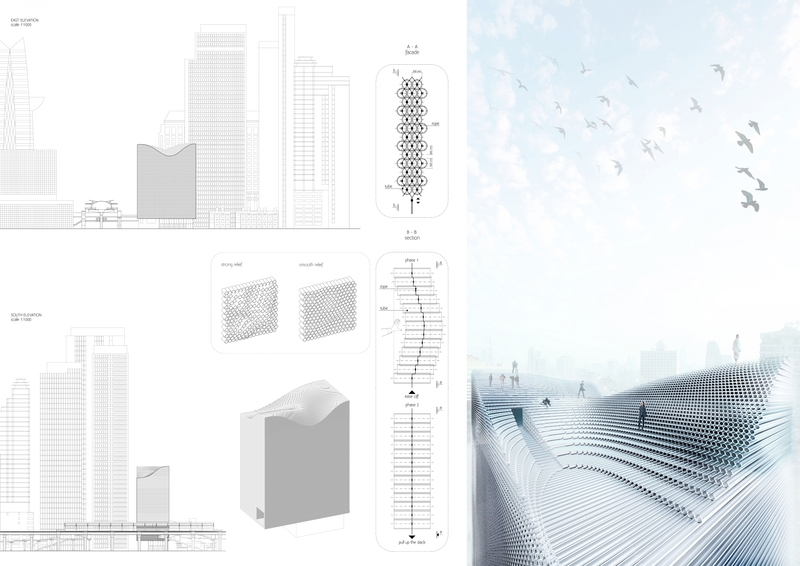 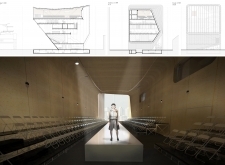 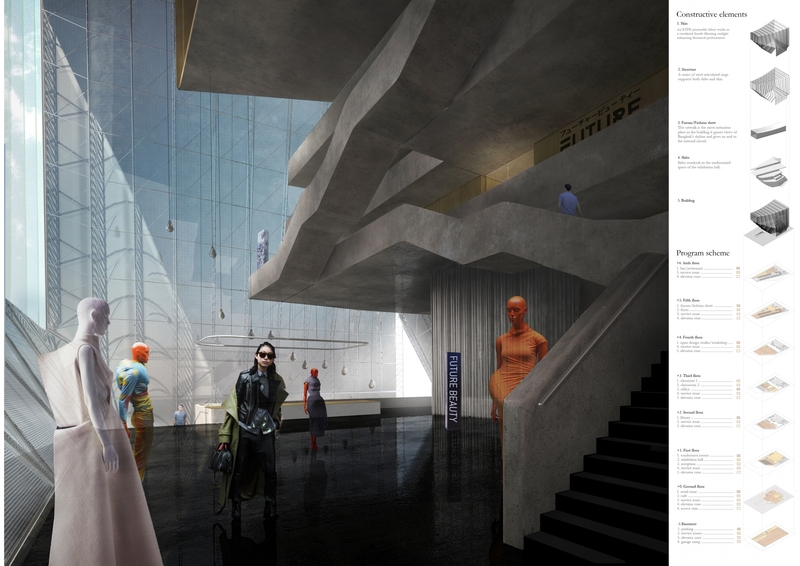 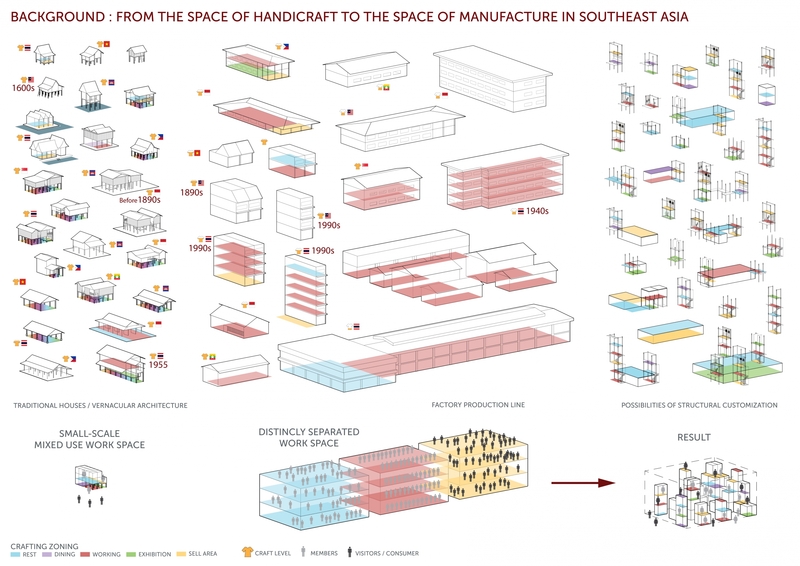 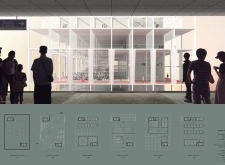 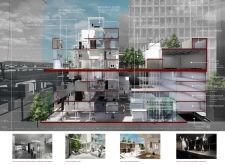 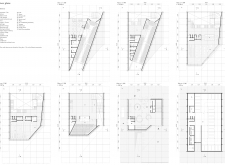 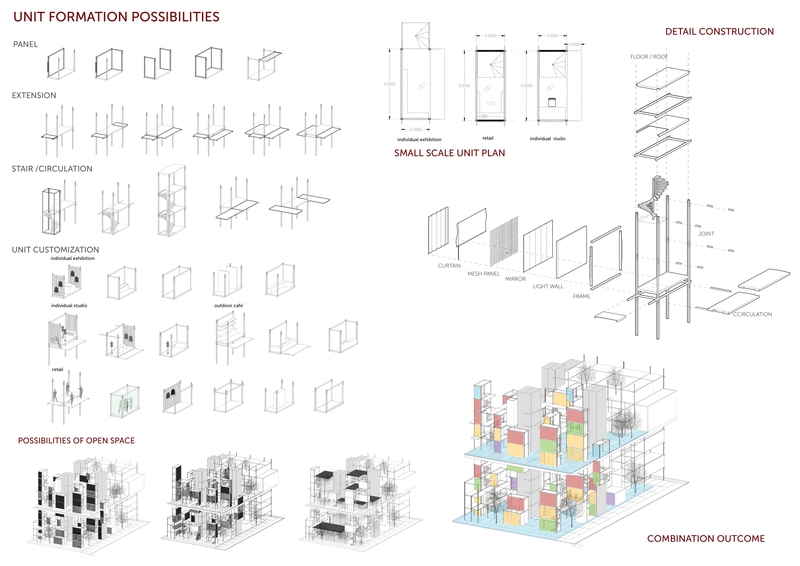 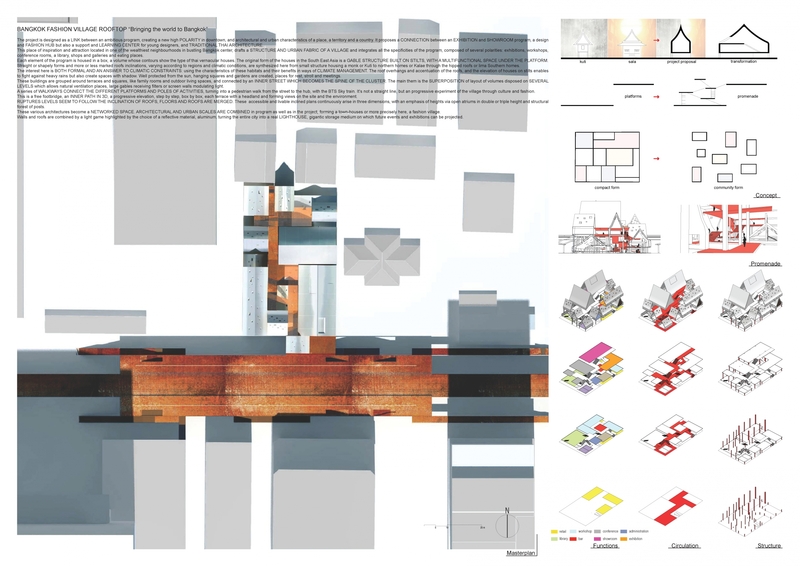 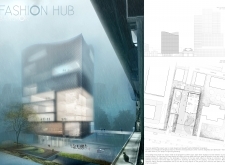 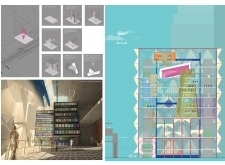 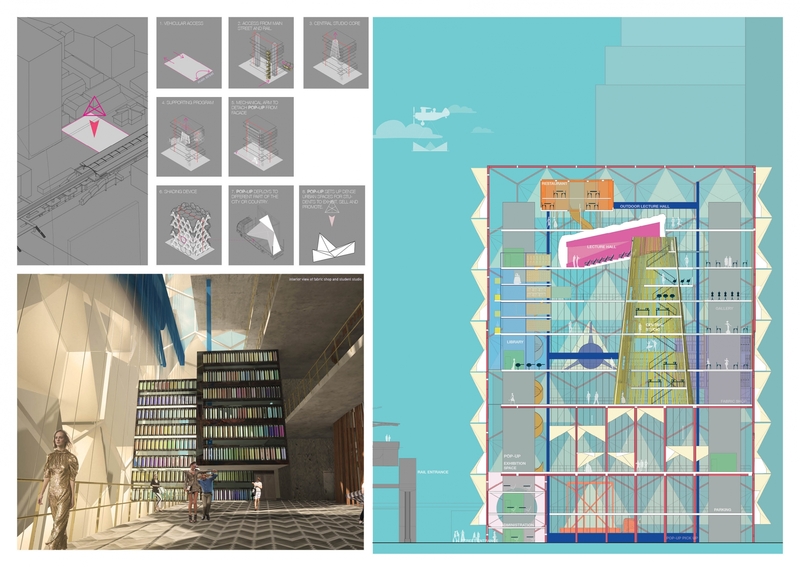 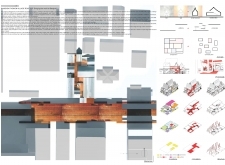 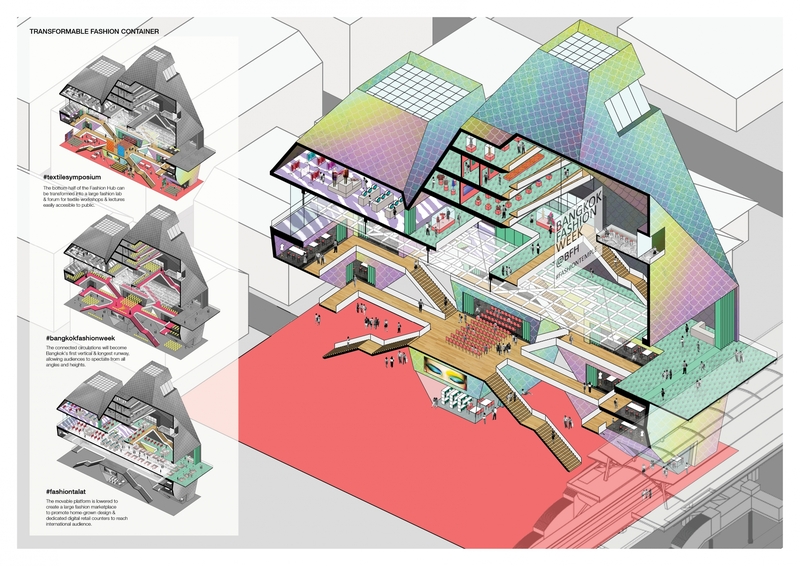 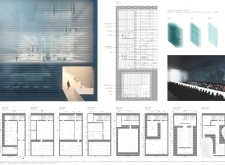 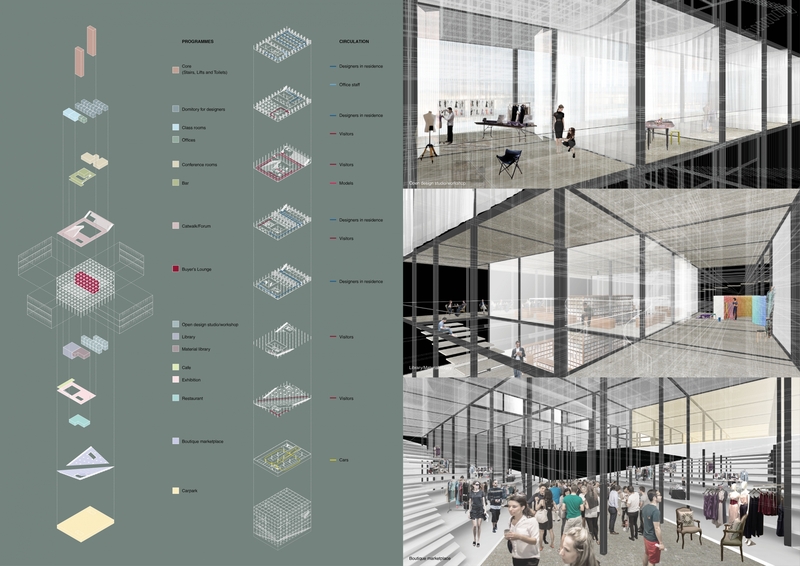 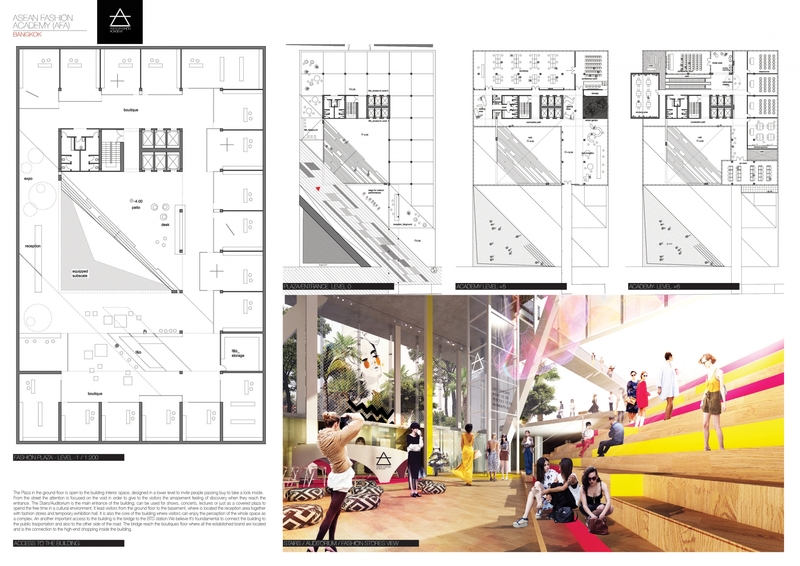 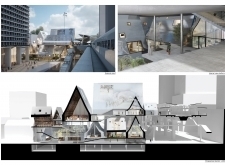 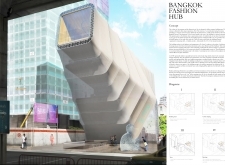 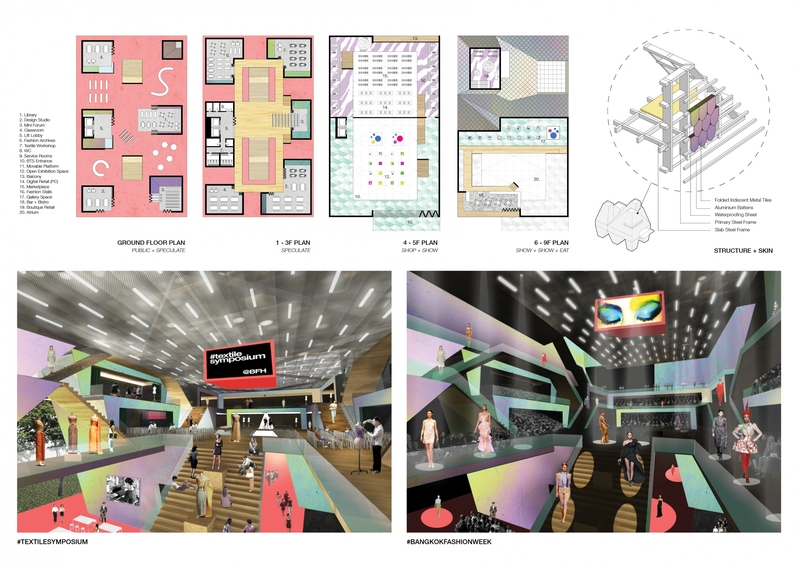 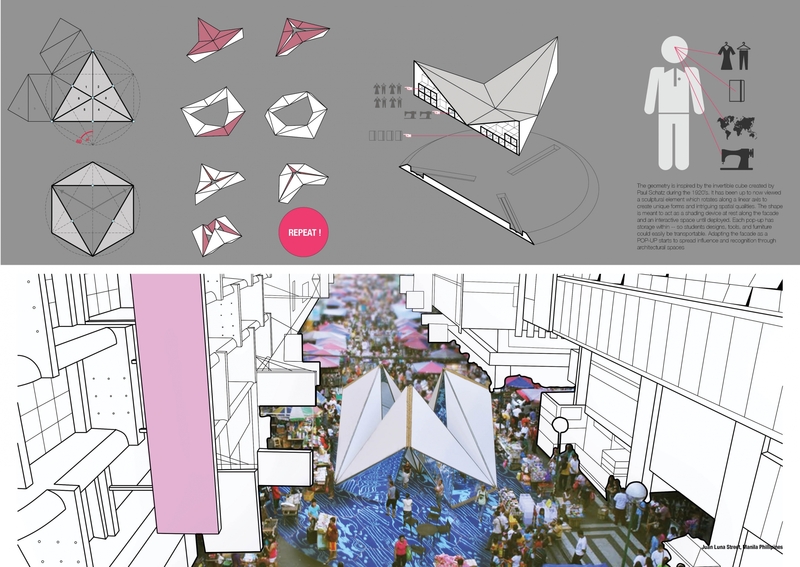 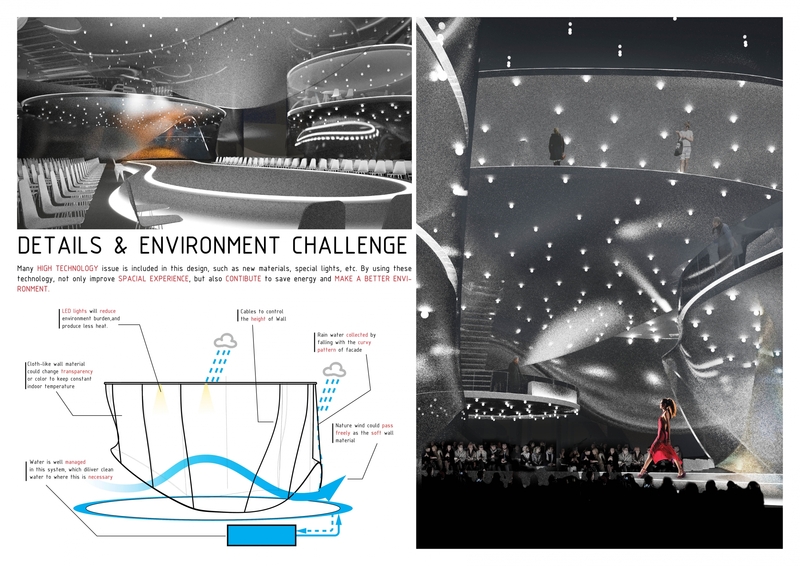 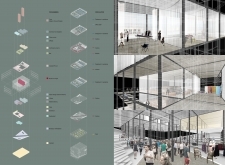 While the concept of a "Fashion Hub" is vague and somewhat subjective, the judges placed particular focus on the architecture’s ability to invite the community inside via a spatially porous place that encourages unexpected visitors and chance encounters. 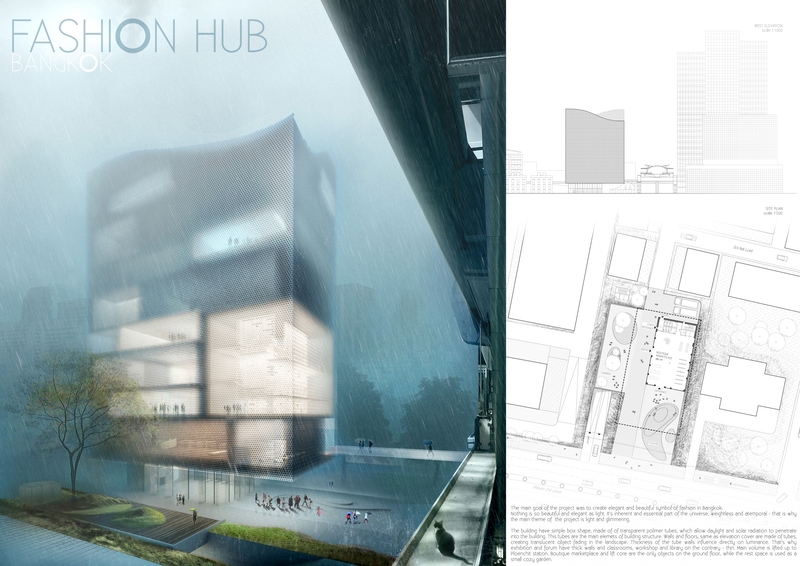 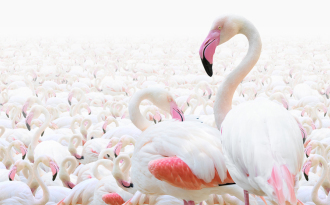 As such, the fashion hub transcends beyond the fashion world to engage anyone passing through the neighbourhood, country, or region. 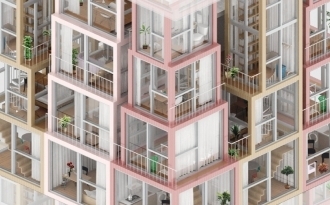 Finally, the project’s approach to context achieves a nice balance between the scale of the adjacent towers, train station, and multi-family residential. 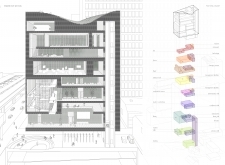 The rough volume as placed on site is a fitting size in order to participate in the city’s skyline while remaining elegant and light. 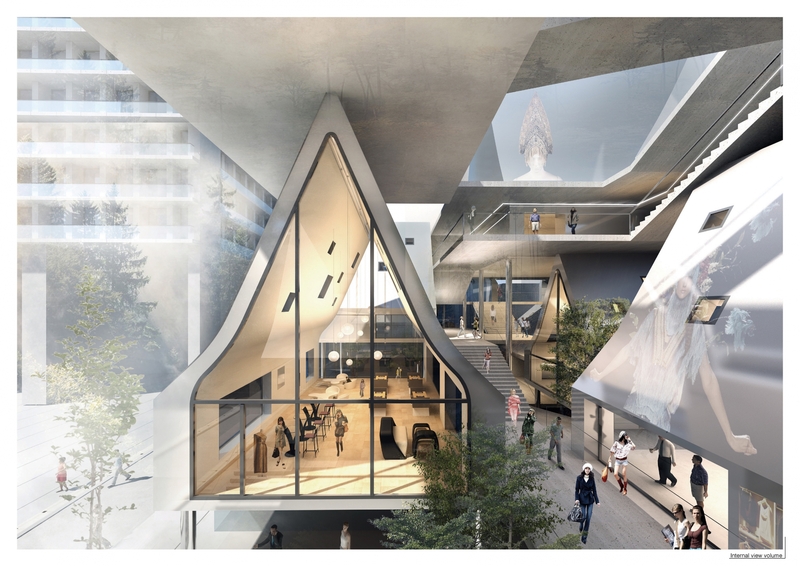 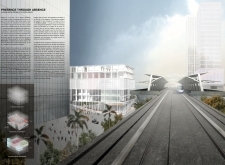 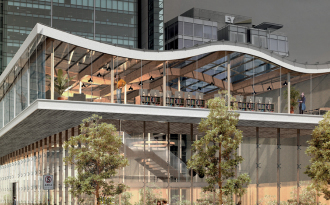 Similarly, the choice to pull the building back from the street edge provides for some much-needed breathing room between the building and stacked street/train zone. 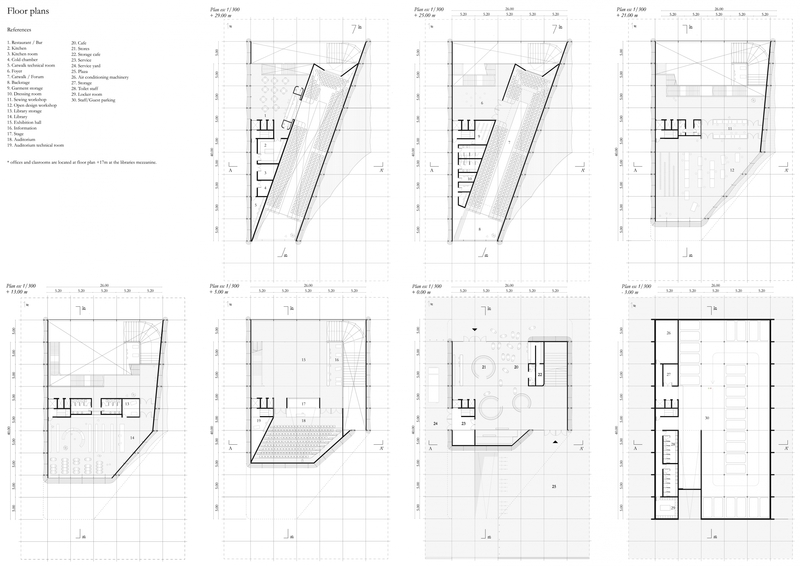 The subtle yet beautiful play between the undulating roof terrace and ground floor public space provide two moments of respite from the rigidity of the structural tube system. 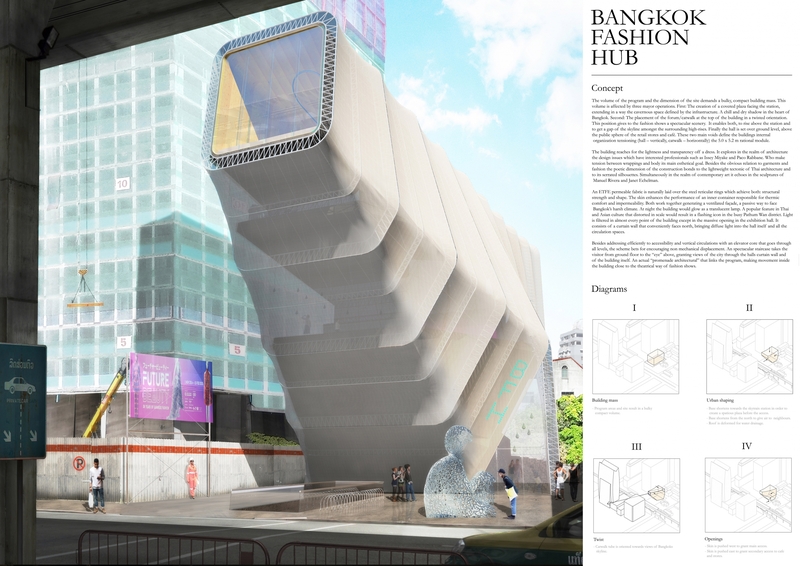 The levitating volume is a symbolic and radiating entity, drawing people's curiosity and welcoming them through simple iconic entrances.